Contrary to popular belief, donning winter wear doesn’t mean sacrificing style for functionality. I’ve found the right coat can make any outfit pop — and with a few more months of chilly weather ahead of us, I’d encourage you to jazz up your wardrobe with some fresh pieces! Not sure where to start? No need to worry, I’ve got you covered. Here are my top picks for statement outerwear brands for the rest of winter. For affordable outerwear that packs an aesthetic punch, look no further than & Other Stories. This highly underrated brand is one of my little secrets, rocking tons of variety with its pragmatic Stockholm wear, laid-back chic, and iconic Parisian pieces. Its pieces will often top out at $500 for leather jackets, making it budget-friendly without compromising quality. I’m currently obsessed with this style here, here, and here. Danish label Sak Potts is my go-to for coats designed to make a big impression! Founded in 2013 by design duo Catherine Saks and Barbara Potts, it’s known for pieces that feature funky prints, plush faux fur, and retro silhouettes. 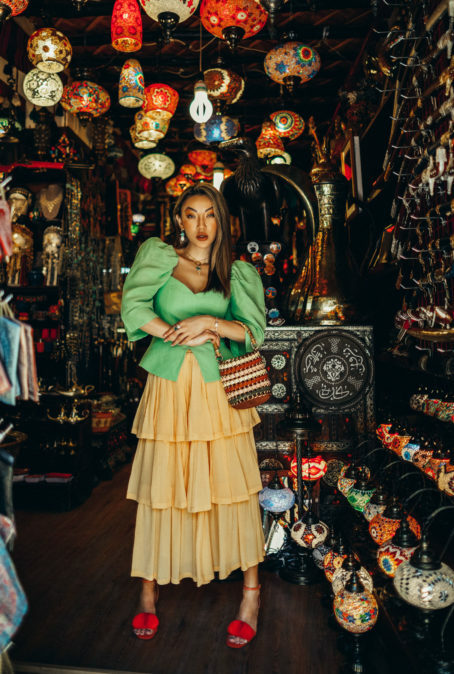 Sak Potts’ colorful statement coats are designed to be fun to wear, so it’s unsurprising the brand has cultivated a celebrity following the likes of Rihanna and Beyonce. Launched in 2005, Nanushka offers East-meets-West designs inspired by founder Sandra Sandor’s native Budapest. The label has only gone international in recent years and showed its first collection at last February’s New York Fashion Week to a warm reception. I particularly love their cool trench coats and puffers, which serve as effortless winter wardrobe staples with a ‘what-was-that?’ look. The founders of Apparis are from the French town of Marseille, where people wear bold designs that inspired their signature faux fur coats. 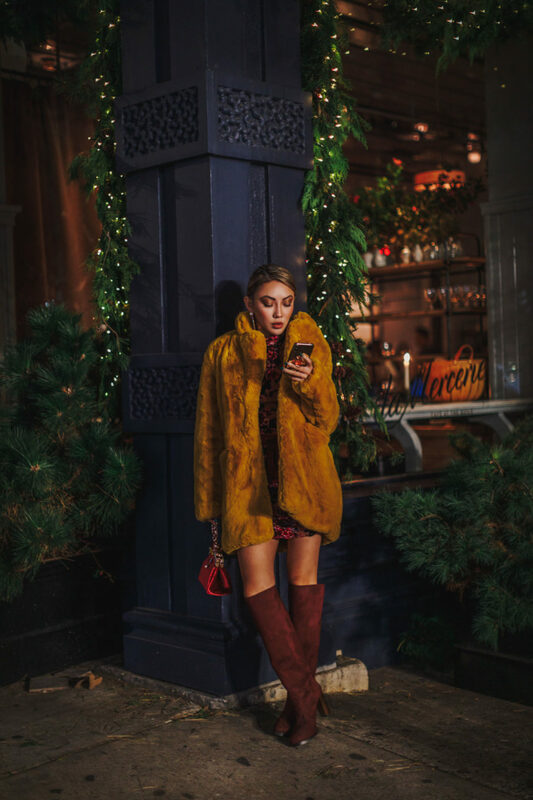 Apparis’ cruelty-free coats are not only chic and affordable, but also come in fun colors ranging from cobalt blue to mustard. They’re great for glamming up any outfit for a night out or casual weekend — while keeping you nice and toasty! For luxury coats selling at a fraction of designer prices, I’d recommend NYC outerwear brand The Arrivals. Their pieces have a signature look that’s intentionally slouchy and oversized, so check them out if you’re looking for stylish yet cozy coats. As for me, I like to throw on one of their edgy leather jackets or fuzzy shearling coats before heading out into the cold. Reformation is the LA-based upstart label known for its vintage-inspired styles crafted with eco-friendly processes. They’ve also won me over for their inclusive feminine pieces designed to flatter women of many shapes and sizes. Reformation pieces tend to be higher end, but are great if you’re looking for investment coats with an edgy, slightly feminine throwback flair. These outerwear brands are my go-to’s for cute, chic winter wear. Which brands are your favorite? Drop me a line below!